The HTC Vive price is here - how much do you think it is? 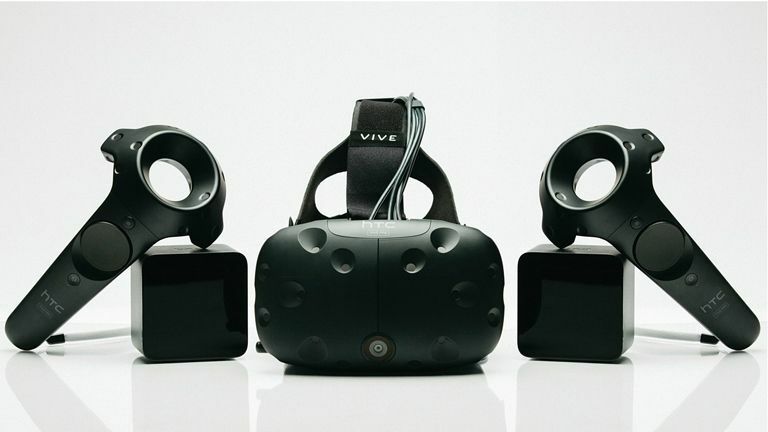 HTC has revealed the price of its HTC Vive VR consumer kit here at MWC 2016. It's $799 US dollars, with local pricing set to be announced. Now, of course, that puts it at a point considerably more expensive than Oculus Rift, but it's worth bearing in mind that you get a lot more than just the headset with Vive. There are also two controllers, two base stations, the link box, ear buds, two gaskets for different types of "human geometry" (really) and all the cables that you need. Interestingly, we found out that the base stations can be at any height and don't have to be tethered together, they can be anywhere in the room. And they're wireles from the PC (Windows, Mac, Linux) that's running the Vive system, too. Much like the Rift, HTC does have one stumbling block that Sony's PlayStation VR doesn't have to worry about (the need for a suitably powerful PC to run it off - the PS VR simply links up to your PS4). We also found out the recommended PC specification for the Vive, notably an Intel Core i5 processor and Nvidia GeForce 970 or AMD 290 graphics. HTC's Dan O'Brien was keen to talk up the Vive's advantage over rivals, especially the fact it 'chaperones' you within a playing space so you don't need to worry about walls.. "This is for a complete system [with 360 tracking and chaperone]. Everything we've thought about to make it the best possible experience. We're really excited about it, it's all there for you." When is the HTC Vive pre-order? The VR wonder goggles will be available for pre-order worldwide from 29 February (10am ET, 3pm GMT, 4pm CET) and it'll be available in various countries including the UK. We know that the kit will come with these two VR 'experiences', with more to come at the Games Developers Conference next month. HTC also said the built-in microphone and camera can be used to make and receive calls and texts as well as being able to see what's in the physical room at the time - say you want to take a drink, you can now 'see' it rather than having to take the goggles off.